Located near Greenwich South London UK; we are a long standing small business website design & development company specialising in bespoke, brand driven sites for growing companies and individuals across a variety of industries. Our London design agency has served clients from all over the world including Europe, the US, Canada, Australia and Ireland. We provide a friendly personalised service, helping companies large and small no matter where they are located. Read more about our London web design services. Retail, sports, photography, fitness, property, finance and many more. Revitalise or kick-start your web presence with high quality small business website design undertaken by our London web design team. We work tirelessly with you to make sure your new website excites your customers, captivates your audience and increases your sales. For businesses who wish to sell products online, our London web design company develop fast, reliable and easy to administer ecommerce website solutions that allow you to sell 24/7. We have a wide range of small business packages that can include printed marketing and offer lower than usual London web design prices to suit most budgets. search engine friendly and future expandable. You're in the right hands because we work closely with you through the entire design and development process; making sure you're getting the best product at the best price. The result is you'll receive a highly creative website design suited to your exact specifications with zero compromise. So whether you're a London based taxi firm, a central London restaurant or retail outlet; we have the skills, expertise and commitment to deliver the most effective web design London has to offer. I came across the Big Web after being severely let down by a previous web development company. Leon the creative director provided a very reasonable quote for our bespoke web design and build. We were provided with timeframe for the project which showed key dates for completion/start of different elements to the design and build. Big Web added value to the website by taking our specification requests and enhancing them to provide superior features that would benefit how the site looks and functions. Our new website was delivered on time and budget. They kept us up to date throughout the whole process and their expertise, knowledge and advice throughout the build was invaluable. I would have no hesitation in recommending the Big Web Company. How Do You Hire Our London Web Design Company? It couldn't be easier; simply get started by sending us a brief description of your project using our online quote form and we will get back to you with our web design proposal and fixed price. Once we get started on your project, we take your grand vision, brainstorm ideas, and then the magic begins. In addition to implementing our business boosting services for your website such as on-page SEO and corporate logo design, we offer flexible London website design pricing options to fit most business budgets. With Big Web Company, you'd be hard-pressed to find such a professionally stellar and creative outfit anywhere else. Have a new or existing project raring to go? Does your current website need a new look? Have you just started a fresh new business and need an effective online presence or need to market your services online or through printed adverts or marketing? 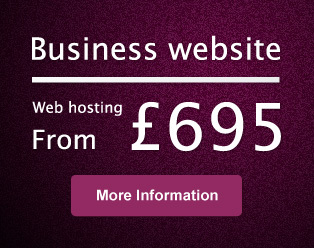 London based Big Web Company offer business website design and email services with a BIG dose of creativity. Give our friendly london web design company a call for the best quality, elegant and compelling web design London has to offer. Working with small businesses in London and throughout the UK, we provide a personalised and cost effective services you'll love. Looking for that reliable, creative and knowledgeable partnership with a web design company? One that will advise you on the best approaches to aid in your online goals? 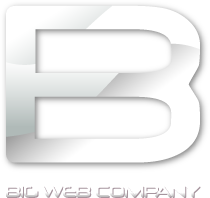 Then look no further than Big Web Company and our years of experience. 100% tailor made ecommerce website design by reliable ecommerce web designers. Big Web Company specialise in developing inexpensive bespoke shopping carts and trusted online stores that engage with your customers. 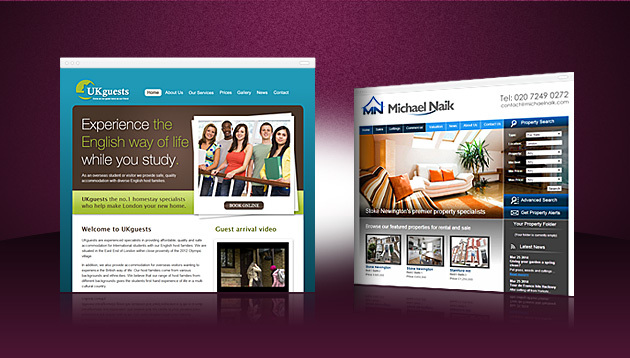 Feature rich property & real estate agent website design services that are easy to administer. With years of experience in the field, we have built a sound understanding of developing the right tools that can help make your estate agent website a success. Totally unique, brand focused newsletter and e-shot design services for companies big or small. We provide mobile and desktop friendly W3C valid newsletter designs you can update and send out yourself and all at affordable one-off prices. Be remembered with your own branded printed marketing, postcards, business cards, compliments slip and letterhead. The no.1 self selling tools for your business. In this short article we discuss the issues surrounding keyword confusion between multiple pages, which often leads to the incorrect page being displayed in SERPs. We provide an overview and a few tips for resolving the problem. An outline of our commitment to providing customers with top quality creative web design services and an honest pro-active business relationship. We discuss the possible reasons behind and the benefits of an interesting addition Google has started injecting within search results. Company brand names within page titles.